The ESOL Odyssey: What is Augmented Reality? I'm generally a pretty techie person- I've been using computers pretty much all my life. Since I became a teacher, I've always looked for meaningful and engaging ways to integrate technology into my classroom. Now that I'm a coach, it falls on me to help my teachers find meaningful ways to integrate the new technologies available to them into their instruction. But, how can we use this technology in our classrooms? Many classrooms are getting iPads or Android tablets, other schools are adopting bring-your-own-device (BYOD) policies. Fortunately for us budget-strapped-teachers, Aurasma is a free app! This technology can allow you to enhance your teaching materials by adding Auras that lead to images, videos, 3-D models and webpages. I'm so thrilled about the potential applications that I almost can't sleep. I hear some of you thinking "I don't have time to learn how to do this!". That's ok!! That's one of the great things- if you find items where someone else has already integrated the technology, all you need is the app and to follow their channel. Then their auras will show up for you! 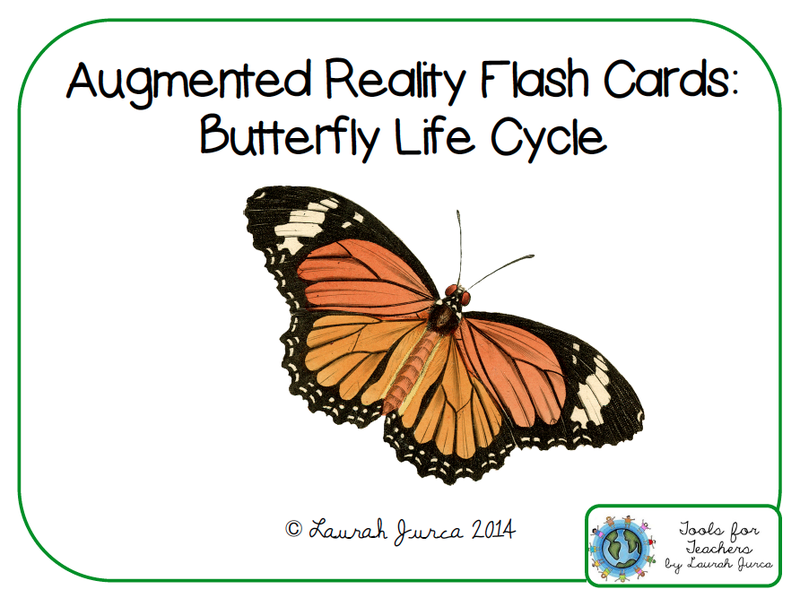 If you're interested in trying it out for yourself, try out my FREE Augmented Reality Flash Cards: The Butterfly Life Cycle. Just click the image below to download your copy! To figure out how to set everything up, check out this quick tutorial on How to Use my Augmented Reality Items. If you want to learn how to add AR to your own materials (I see so many applications here that I want to add AR to everything!! ), then I suggest you check out Two Guys and Some iPads. They have some AWESOME tutorials on how to add AR to just about anything. They also have a whole section linking to other apps that use AR. How exciting is this technology?! ?